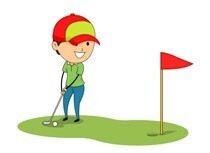 Welcome to Melrose Golf Club Junior page which we hope to use to keep our junior members informed of club activities. 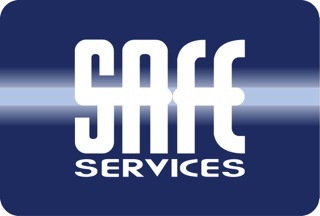 We are delighted to welcome Safe Services who have continued as Junior Section sponsors. Graeme Millar, Managing Director, has joined the Club as a playing member and we are very grateful for the company’s financial support, which helps us provide opportunities for the young members of the Golf Club. It would be tremendous to see some of our clubgolf members step up to becoming Junior members of the Club. As the summer school holidays approach we are delighted to confirm the appointment of a junior convenor. Cameron Creamer has kindly stepped into the role to ensure our junior section continues to enjoy competition golf throughout the school holiday period. Any member, parent or guardian wishing information on the junior season ahead please contact Cameron on juniorconvener@melrosegolfcourse.co.uk or direct on 01896 822855. If any parent or guardian wants information regarding the Club’s Child Protection Policy or Junior / Parents’ Charter, please contact our Child Protection Officer, Mrs. Sheila Whiteford. by email, info@melrosegolfcourse.co.uk or at the Golf Club. We want to see our Juniors on the course as much as possible but please remember that, unless you are accompanied by an adult member, you must begin your round before 5.00pm. Parents are welcome to accompany children around course – This may be NECESSARY for younger children.